Selected examples of Insite websites — learn about these projects, then visit them and have a look around! 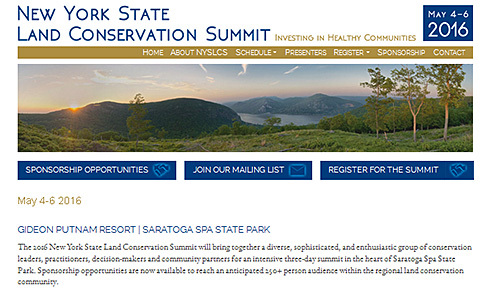 Websites for clients in New York’s Hudson Valley and beyond. Description: New website for a large social services agency. With a major upgrade in 2016, this website is now in its third iteration since its launch in 2006. An extensive website which has continued to grow and evolve, it strives, like its parent organization, to meet the ever-changing needs of its visitors and clients. Error free, validating HTML and CSS coding throughout. 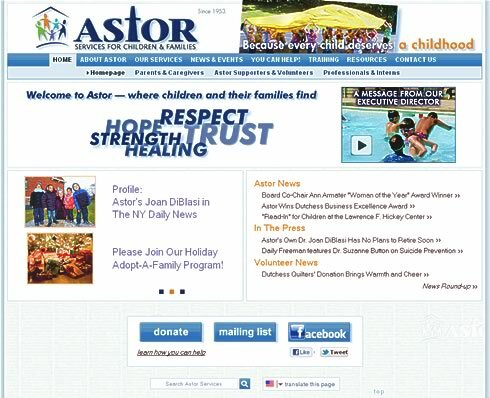 Astor is an organization which is deservedly proud of what they do. The website development project has helped their fund-raising, helped them to define their self image, and allowed them to present themselves with pride and authority befitting the quality and level of services which they provide. 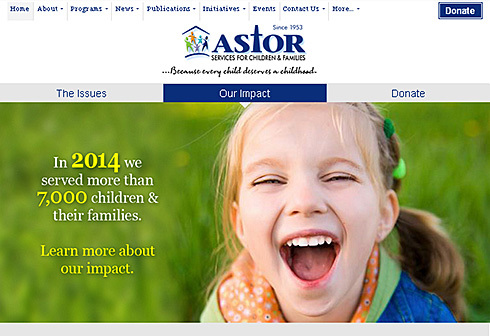 Description: Website for a fundraising organization. Work in collaboration with Blackbaud and AFBIU’s IT department to develop and theme this website using the Blackbaud NetCommunity content management system. AFBIU is the American fund-raising arm of Bar-Ilan University (Israel). The website serves as the public face of this organization, and provides information about the school to donors and potential donors. The site aims to educate visitors about the university, and instill a sense of trust in potential donors. It serves as a tool for fundraisers in offices across the U.S. Description: Website for a philanthropy organization. Error free, completely validating coding throughout. 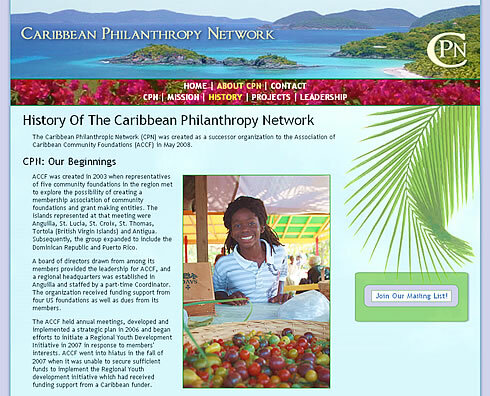 CPN is a service organization dedicated to promoting philanthropic causes and assisting community organizations in the Caribbean. CPN needed a website to present information, clarify its role and hold visitor attention, and project a professional and authoritative presence to both grant-making organizations and potential member service-organizations. Insite Website helped the CPN to conceptualize the website, organize materials and tell their story, and helped them to prioritize their goals for the site and plan for its future growth. 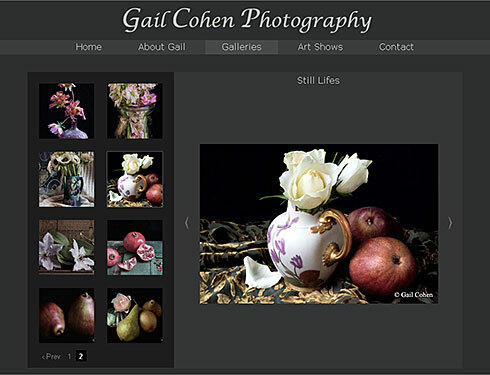 Description: WordPress website for a professional photographer. Complete instuction in WordPress site upkeep. Set up site with strong SEO in a competitive field, and train site-owner in SEO methods. 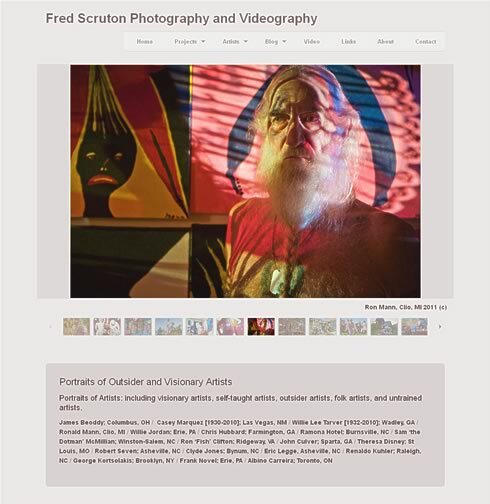 Fred Scruton Photography shows work in several SEO-competitive areas. This site has given the artist a “calling card” to verify his credentials when contacting gallery and museum professionals. It helps the artist to pave the way when establishing new contacts with potential portrait subjects and installation-based projects. It is successfully providing exposure for the artist and is helping to establish him as an “authority” in the fields of Outsider- and Vernacular Art. Sites created in collaboration with others. Insite Website provides all web services for Ad Essentials, a full-service ad agency located in New Paltz, NY., including website development and theming, new websites, webmaster services, HTML email advertising and online web ads. 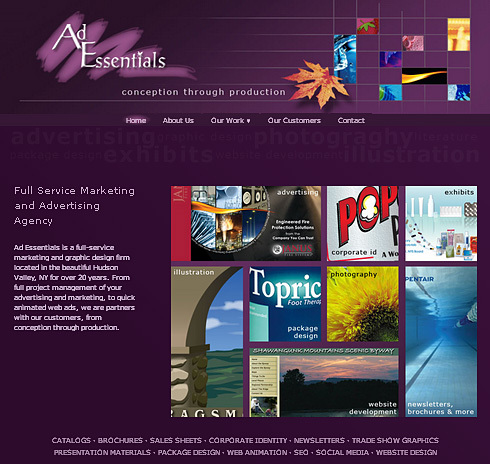 Graphic design of Ad Essentials’s websites is provided by their own in-house graphic designers. 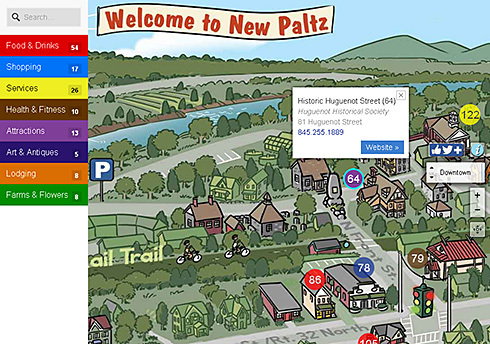 A fully interactive map of New Paltz, NY to help visitors find businesses, lodging, attractions and more on their cell phone, tablet or computer. An advertising supported site embraced by more than 100 local businesses, organizations, the State University and local government. Description: WordPress website for a large member services organization. 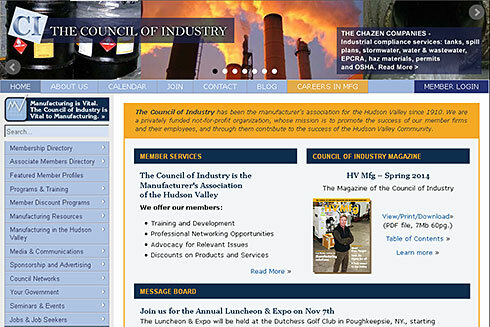 The Council of Industry has been the Hudson Valley manufacturers’ association for over 100 years. Their website provides a large array of services to their members. It is a largely self-maintained WordPress website. 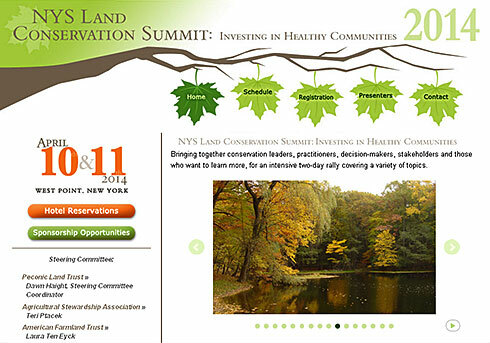 The New York State Land Conservation Summit, organized by a group of land conservancies and major land conservation organizations throughout New York State, brings together conservation leaders, practitioners, decision-makers, stakeholders and those who want to learn more, for an intensive two-day rally covering a variety of topics. This WordPress website allows the conference leaders to maintain and present cross-referenced lists of the seminars and speakers at the conference, field trips available to conference attendees, and an interactive schedule of events for use by attendees at the conference, as well as allowing attendees to reserve seminar space and hotels. A straight-forward gallery website, designed to highlight the work of this Hudson Valley- and New York City-based photographer of still-lifes, street scenes and more. An image viewer, highly customized to meet the artist’s requests, is the centerpiece of this site. 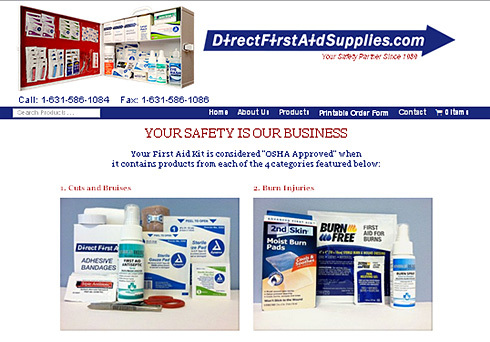 An online cataloge and eCommerce website for this business-to-business first aid supply company. A WordPress website whose product listings and online sales are easily maintained by the site owner. Project included extensive training for company personel with no previous website experience. 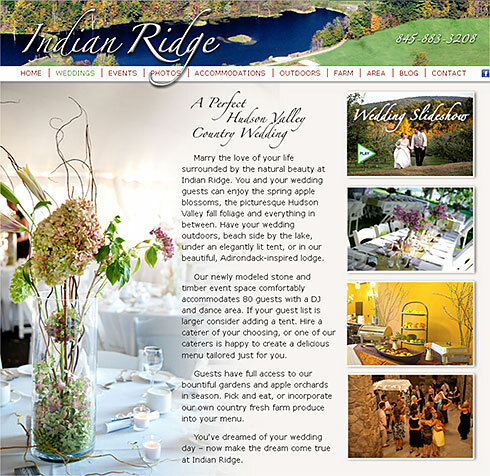 Indian Ridge is an events venue for Hudson Valley weddings, conferences and other events. This website (no longer in use) included a WordPress blog, and featured extensive photography to show off the venue to prospective customers. An all-Drupal shop providing Drupal website development and internet marketing. Insite Website has provided the theming and CSS coding for layout and typography of many of Gameface’s projects; site analysis services to evaluate clients’ old sites, the sites of their competitors, and new sites under development, especially regarding image and message presentation (intended and unintended) and user-friendliness; and Drupal site content development. See my bio on the Game Face website, and some clients’ sites which I’ve worked on. 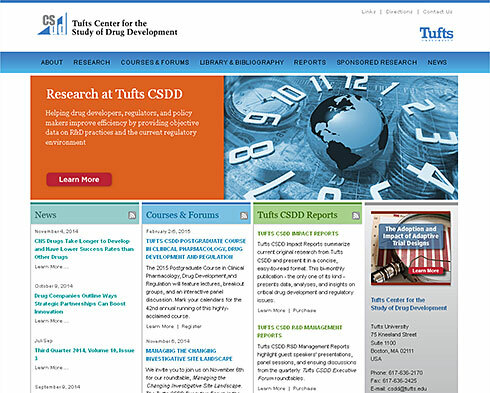 A turn-key web development project implemented using the ExpressionEngine CMS.